Suite Cameras are available for viewing every day that your dog stays in one our four luxury suites. 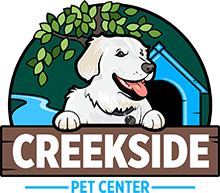 Please contact Creekside Pet Resort for your suite password. Suite webcam passwords are case sensitive and are always entered in lower case. Viewing with Android and Apple mobile devices you will need to use the Odoggy app.